How social learning environments can help maximize your ROI in 2016. It’s that time of year again when everyone is busy working on their New Year’s resolution. For many, it’s the same theme: more exercise, less TV or junk food. It may even be work related, like keeping up with your inbox, or trying to schedule fewer meetings while still staying productive. I would like you to consider another type of resolution: adopting the right learning approach for you and your organization – and making your business more successful as a result. In a previous blog post, I introduced learner-centric continuous education as the best approach to ensure the right learning at the right time for the right people. There are several different features included in this approach, and for today’s post, I want to focus on one of them: social learning, and how it can have a dramatic impact on your ROI. Social learning states that people can learn by observing and listening to others. But at the same time, learners are not passive recipients of information, they are active participants. 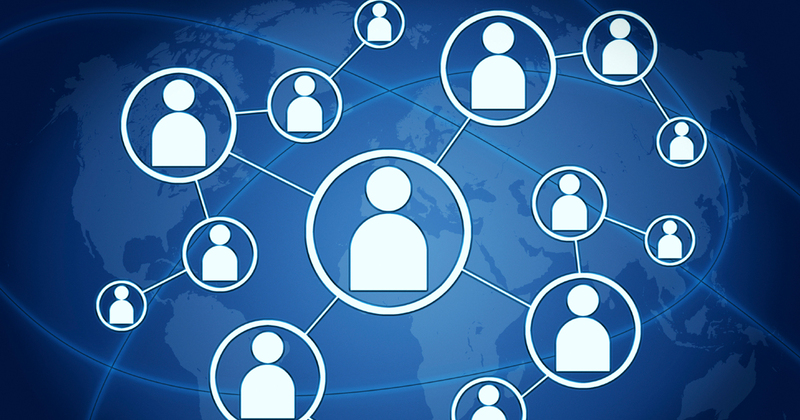 People benefit by being connected to others, using things like active participation in an online forum or a webinar. Social learning is critical as it allows colleagues to share information as they are learning and collaborate across geographically separated locations. Many people already do this successfully using social media tools like Facebook, Twitter, and LinkedIn, but it is imperative these tools are part of your learning program. To better understand, let’s take a look at three components needed to be successful with a learning program and see how social learning can provide a positive impact. There are several possible learning outcomes that a student may want from a learning program: perform a specific task, understand what is possible, or develop the ability to apply learning in a variety of circumstances. One of the major benefits of a social learning environment is that they are extremely malleable. The fluid nature of the social conversation may provide step-by-step answers on how to perform a specific task, or it may deliver an overview in broad brush strokes to help you understand what is possible, or it could also provide links to resources with more details, and more examples and case studies. Typically the biggest hurdle we see which stands in the way of a person or a company attaining an educational goal is time constraints. I always hear people say they cannot find time to take training, or they need to learn everything there is to know in two days. A social learning environment may be one way around this hurdle as today’s learner is becoming more and more adept at monitoring and navigating social media – regardless of whether they have a few minutes or a few hours. In this You Tube generation, people can quickly look up answers and ask questions rather than having to go to the library or sit in a training class for a week. The most critical (and often the most overlooked) component of an effective learning experience is motivation. Students need to be motivated to want to learn. There are two types of motivation: intrinsic and extrinsic. Intrinsic motivation is when you do something because you enjoy it or find it interesting. Extrinsic motivation is when you do something for external rewards or to avoid a negative consequence. Social learning environments frequently accomplish both. For many, social media is fun (intrinsic motivation) and social media also provides opportunities for peer recognition (extrinsic motivation). How does this impact the ROI? 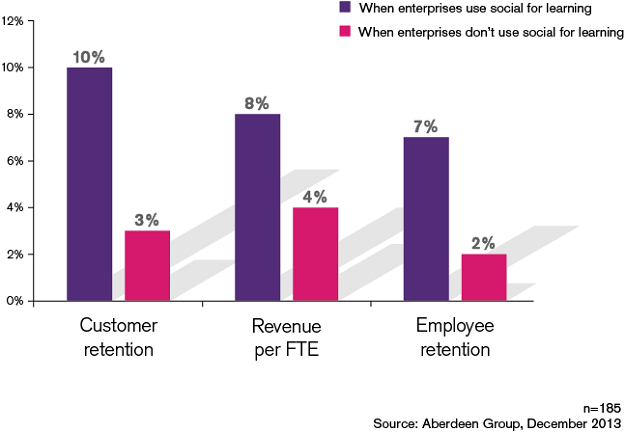 "...social learning has a dramatic impact on the bottom line, notably retaining more customers, bringing in greater revenue per employee, and retaining more employees than companies that don’t use social learning at all." Now that’s a resolution you should keep. Want to learn more about the other features of learner-centric continuous education, and how they can help maximize ROI and empower employees? Check out our new white paper: “Getting the most from your business applications”.